Each year millions of high school students apply to college. By 2020, the number of students enrolled in college is expected to peak at more than 23 million. Notwithstanding, fewer than fifty percent of all students who are accepted to college will graduate within four years, and just over half will ever graduate from college at all. The college admissions process is time consuming, tedious, and at times, a bit daunting. There are multiple steps, deadlines and choices students must deal with, including standardized tests, application essays, fees and interviews. Applying to college can also be a bit pricy. About a fourth of college applicants apply to seven or more schools – and at $40 an application it can get expensive really fast. While many schools require students to fill out and submit separate applications, through the Common Application (addressed in more detail below), students are able to apply to hundreds of colleges throughout the United States by filling out and submitting just one application online. Once accepted, some colleges may require students to fill out a separate application for a particular department and later another for graduate school. A few trends in college admissions include a growing number of students in foreign countries seeking to attend American universities, a larger number of college applications in general, students applying through early decision methods, an increased use of waitlists by colleges, and a large increase in the percentage of students who are submitting their college applications online. It's been estimated that over 80% of all college applications are now submited via the Internet. > How Many Colleges Should I Apply To? The college admissions process most often begins in the junior year of high school. A student meets with their high school guidance counselor to discuss their future aspirations and plans, they'll build a list of colleges, attend college fairs, and maybe visit a few college campuses. In addition, during a student's junior year they will complete all standardized testing requirements including the PSAT, SAT and/or ACT. International students my also be required to take one of several English-language proficiency tests such as TOEFL, IELTS or PTE Academic. Finalizing application plans, writing application essays, and deciding whether to apply early or wait for regular decision, typically takes place during the summer preceding senior year. By a students senior year, they should be familiar with all admissions deadlines, have their teacher recommendations in place, be applying to colleges, and mailing in their transcripts. It's also the time students should be submitting the CSS (in October) and FAFSA forms(in January). Most colleges will have made acceptance decisions by April and students are expected to reply by May. Even though most college admissions work takes place during a students junior and senior years, most guidance counselors agree it's wise to have a "four-year plan". Don't forget, your grades as a freshman and sophmore count toward your final GPA as a senior and you'll want to develop good study habits and get involved in extracurricular activities as soon as you can. The Common Application (commonly referred to as "Common App") is, as its name suggests, an undergraduate college application that is shared by a large number of colleges and universities. In all, there 517 colleges and universities from across the United States, District of Columbia, Austria, France, Switzerland, Germany, France and the United Kingdom that use the Common Application. The Common App was not only established as means to allow applications to easily apply to multiple colleges, it was established to encourage a holistic admission approach that assesses both subjective and object factors, including essays, letters for recommendation, test scores, GPA and class rank. Many universities that use the Common App also require prespective students to complete a "Common App Supplement". The supplemental application is intended to gather basic information, including name, address, date of birth, etc. and does not include any additional question covered on the Common App. All questions asked on the Common App Supplement must not violate the NACAC Statement of Principles and Good Practice. There are two Common Applications: one for first-year students and one for student's transfering from another higher education institution. Both applications can be completed and submitted to all participating college and universities online. Your application has been deferred. What happens next? If you applied to a college or university through Early Decision or Early Action and you are not accepted, your application has probably been deferred. It can be a frustrating situation, but don't lose hope! What it means is that your application is being placed in the general pool and will be reconsidered at some point. Even if a school isn't highly selective, admissions will be competitive to some degree. There are plenty of qualified applicants for the incoming freshman class and the admissions department does its best to select the best ones for the school. This is why they exercise deferment instead of just rejecting you. It leaves room for qualified students to be given a second look later in the year, when their applications can be judged in context of the entire pool. If you've been deferred and you know you still want to attend this school, should you just sit and wait to get a response in the spring? No. Now is the time to be proactive! Write a letter to the admissions department stating your continued interest in attending the school. If you have any recent accomplishments, awards or citations that happened after your original submission, now is the time to tell them about it. Don't include every single thing you've done and don't overdue it. Make sure your letter is respectful, positive and to-the-point. A well-written letter will set you apart from other deferrals and signal your seriousness about attending that school. If you've developed a good relationship with your high school guidance counselor, you may want to ask him or her to make a phone call or write a letter on your behalf. This is a safer route than a call directly from you. Your guidance counselor can advocate for you in an effective way, but only if he or she has specific information to work with. If you've been deferred, go in and talk to your counselor and see if this is a viable option. What you should not do is express frustration or any sort of disagreement with the deferment decision. This will always come across a whiney and negative. The admissions counselors are experienced professionals who made their decision for a reason. Asking them to reconsider will get you nowhere. On the other hand, if you keep your letter positive and forward-looking, you have a better chance of impressing them with your professionalism and dedication. Phone calls are not advised, unless you have a specific question. You're not going to reverse a deferment decision with a phone call. It's very unlikely that you're going to catch the correct person on the phone and impress them right there on the spot. You even run the risk of coming across as too aggressive or annoying. Most importantly, don't get too frustrated! College admissions can be competitive and challenging, but deferral is not the end of the road. If your grades and test scores are in the school's range and you put the necessary work into your application, you still have a good chance. If not, you should have applied to a number of other schools that are realistic alternatives for you. If you did your homework and developed a good list of schools, you'll be accepted to one that is right for you. Many colleges and universities have a rolling admissions policy for incoming freshman students. This essentially means that students are free to submit their applications at any time during the admissions process. The window is usually six months or more, beginning in the fall and often lasting to the summer. Most competitive colleges and universities don't employ rolling admissions and instead set firm deadlines. But for schools that do, it offers students many advantages as well as some potential hazards. Specific policies vary from school to school. Some set deadlines, while others accept students as long as space is available. Like any part of the college application process, you should make sure you know a school's admissions requirements and all the pertinent dates and deadlines well ahead of time. Rolling admissions gives you a wider range of flexibility when applying to colleges, but you still want to submit your application early. Most schools will give you a response within a month, sometimes even just a couple of weeks. If you apply early and are rejected, there is still time to apply to other schools. The same is true if a selective school with a winter deadline rejected you. There is still time to apply to a suitable school with a rolling admissions policy in the spring. Applying early also sends a good signal to admissions counselors and gives you one of your best advantages. Some students even believe that early applications receive a little more time and attention than those that come in later in the year. Student housing and financial aid deadlines usually precede the end of the rolling admissions window. For this reason, it is highly advisable that you submit your application early, even if the window lasts through the summer. Additionally, many schools do run out of space and it is usually impossible to know when that will happen. Early acceptance also greatly increases your chances of being awarded a scholarship. While rolling admissions allows students more flexibility, it shouldn't be used as a reason to wait. Sometimes spots fill up fast, and more qualified students are rejected simply because they took too long to send in their applications. And even if you do make the deadlines for financial aid and student housing, earlier applicants will be higher up on the lists. Every college has a different GPA they’re looking for, and you can usually find a general range on their admissions website. If your grades aren’t up to their minimum standards, you’re going to be fighting an uphill battle. This is often the first thing they’re looking for, and it’s an easy, objective way for them to narrow down the applicant pool. If your grades were not up to par in high school, it will be hard for the admissions committee to believe that you will be successful at the more rigorous level of their school. Many colleges and universities don't look at grades from the 9th grade, only considering sophomore, junior and senior years. Even if this is the case, you should use the 9th grade to figure out what kind of student you want to be. This includes improving study habits, participating in class discussions, sharpening your writing and test-taking skills, and exploring elective classes. Don't just go for the easy classes. College admissions officers look at more than just your GPA. They will evaluate the difficulty of the classes you take and judge your grades accordingly. An A in Classical Guitar or Woodshop will probably have less value than a B+ in an Honors or Advanced Placement (AP) class. Many advanced classes can also be transferred as college credit. A student who scores a 4 or 5 on an AP exam will not only be able to apply those course credits to college, but he or she can include that score in their college application. Keep at it! Many students work hard for two or three years and when senior year comes, they expect to coast to the finish line. This is a mistake! While the admissions process happens in the middle of your senior year, admissions officers will often examine your current class schedule. A sudden drop-off in motivation during your senior year could be the difference between getting into your top-choice school or being passed up by someone else who didn't slack off. In some cases, if a student's senior grades do take a precipitous drop, some schools will reverse admission. Remember, grades are important, but not the only thing. Preparing for college causes many students undergo enormous stress with every single test and every single grade. You should always strive to do your best, but remember that a sub-par grade here or there will not destroy your college prospects. Admissions officers are looking at the overall picture, trying to determine if you are a well-rounded and motivated person. Working through and overcoming life's disappointments, even it's failures, is a part of that. Learn more: What's a Good Academic Record for College Admissions? Throughout high school, students should pursue a diverse array of activities outside the classroom. Admissions officers look at a student's overall activity in order to judge the character, motivation and potential of an applicant. Grades alone can't tell that story. Test scores alone can't tell that story. What activities the student chooses to participate in, and how they handle a non-centralized workload, paint a clearer picture of how that student will perform in the college environment. Students should seek out activities that suit their interests and enhance their high school experience. This can include athletics, academic clubs, music, dance, theater, volunteering or community service. These activities often provide leadership opportunities or creative outlets that don't exist in the classroom. They also demonstrate that the student is capable of organizing his or her workload and managing a busy schedule. Many high school students load up too many extracurricular activities and become overwhelmed by their schedule. This might be because you have so many passions, or because you feel the need to “pad your resume” for college admissions. In either case, it is important to find the right balance. Admissions officers are looking to see that a student can build a reasonable schedule and succeed at it. If too many extracurriculars are causing grades to suffer, they will most likely determine that this student would have a hard time managing the independence that comes with college life. Not too long ago, standardized tests held a lot more weight in admissions decisions than they do today. Although almost every school requires SAT or ACT scores, admissions officers recognize that there is a lot more to a student than one test score, which is good news if you suffer from test anxiety. There is a very wide range of accepted scores for different schools. Some schools, such as Temple University don’t even require a standardized test any more. An example of a school with a high average score is UC Berkeley. For the 2018 school year, the average ACT score of accepted students was 30-35. The average SAT reading and writing score was 660-750, and the average math score was 680-790. The University of Nebraska at Lincoln had lower averages with the ACT at 22-28 and the SAT reading and writing 480-630, math at 510-650. Some schools, such as Princeton University will combine your top scores in each section of the SAT even if they were taken on different dates. Other schools will only take the highest total score from one single date. The SAT and ACT are challenging exams and students should have a plan for studying and knowing what to expect. The single best thing you can do is to take the PSAT. The test won't be considered in college admissions, but it can help prepare you for the real thing. Students who have taken the PSAT tend to be more motivated to study and less stressed about what to expect in the actual exams. Additionally, students who score exceptionally high on the PSAT are eligible for a National Merit Scholarship, and many colleges and universities award scholarships to National Merit Scholars. Perhaps most importantly, the PSAT gives you a gauge of how well you might do on the SAT or ACT. If you don't score well on the PSAT, you will have time to study and improve your performance. The SAT or ACT needs to be taken by the fall of your senior year, but most high school students take their exams in the spring of junior year. This allows you to take the test again if you didn't score as well as expected. Admissions will only consider your highest test score. If you've already taken the SAT, finding out what the averages are for different schools near you can help give you an idea of what those schools are looking for and accepting. Most schools don't post a specific score that a student must have, so if your numbers are lower than the average, don't freak out. Remember there are a lot of parts of the application that all go together to help the school get a complete picture of who you are. In addition to taking the PSAT, you should plan on dedicating a certain amount of SAT/ACT study time each week. Many students form study groups and take unofficial prep exams. There are also numerous books and websites dedicated to entrance exams, the most well-known of which is Kaplan. If you’re interested to see where you rank among all test takers, College Board releases a report of test results every year. While your schools likely have ranges of scores they typically accept, this can give you an idea of where you fall overall. The essay is a really great opportunity for you to show the admissions committee who you really are. One of the biggest mistakes students make when writing their admissions essay is that they try to re-write their résumé or their transcript. The admissions committee can already see everything you’ve done, so you’re just wasting this portion of your application if all you do is write your résumé in narrative form. If the school you’re applying to lists the essay as optional, your only real option if you actually want to get in to that school is to write the essay. When they’re trying to decide between two people and they have one person who wrote the essay and one who didn’t, 9 times outs of 10 they’re going to pick the person who took the time to write the essay. It shows that you really care about the school enough to take the time to write the essay. It’s also important to note that you should make sure the essay is personalized for that school. There’s nothing worse than sending in an essay for the University of Florida that talks about how badly you want to go to the University of Miami. Among other things, they’re looking to see that you would fit in and be successful at their school. A slip up like this could send your application into the no pile before they even see anything else. For an inside look at what colleges are looking for and how they might be viewing your essay, take a look inside the decision room at Amherst College in Amherst, Massachusetts. This video gives you a really great opportunity to try to get into the heads of the potential audience for your essay. Understanding who your audience is will help you write an essay they will enjoy. Not even writing the essay. As mentioned before, this could be the one thing that puts you in the no pile. If the admission officers are on the fence, it’s often the essay they turn to to help them make up their mind. If the essay isn’t even there, that’s a quick and easy way for them to move on from you. Grammar and spelling mistakes. Obviously you know that your essay should be polished, but it can get exhausting filling out so many applications, and this is something that you could easily let slip. Again, this could be something that turns an admission officer off right away when they have thousands of applications to go through. They might see one or two spelling errors and that could be enough for them to just stop reading your essay right there. Before you submit that essay make sure there are no silly mistakes. Consider asking your English teacher to read over your essay for you, or even read your essay to yourself out loud. A lot of times, when you actually hear the words, you pick up on things that sound awkward or you realize that you accidentally wrote “the” twice. Writing too much about someone else. The admissions officers want to know who you are, not who your grandfather is. That’s great if you learned a lot from him, but make it about you- what did you learn, how have you applied it to your life, how has it changed you, etc. When they get done reading, they should have a really good sense of who you are and what your motivations are. If you focus too much on somebody else, they’re going to want to admit that person, not you. Sounding too generic. Again, they read thousands of essays, so you should think about how you can make yourself stand out. if you ask a friend to read your essay for you, they should be able to tell it’s yours based on the content. Your essay should scream you, and your audience should get a sense of that when they read it. Trying to sound too good. The essay is really about finding out who you are and what motivates you. It could also be a great place for you to explain why you didn’t do well your sophomore year, for example. Don’t be afraid to show vulnerability and weakness. This isn’t the place for you to prove that you’re the best writer at your high school (if that’s true, your SAT scores and grades should speak for themselves). This is the place for you to show the admissions officers that intangible thing that makes you who you are and makes them want to meet you. You don’t have much control over this other than who you pick, so choose wisely. Don’t automatically discount a teacher just because you got a bad grade in their class- they may have a lot to say about your work ethic and how you’ve overcome challenges. It’s also a good idea to choose a teacher who teaches a class related to your major. If you want to major in statistics, the admissions committee would much rather hear from your math teacher than your art teacher. Some students are tempted to ask a famous relative or someone with connections to the school. This is fine if the person actually knows you. But if this is not the case, if the letter is really about the signature on the bottom, it will look superficial and won't do you any favors. It's much better to ask someone who has had day-to-day experience with you and knows you as a student. Make sure the letter writer knows some details about the school and why you are applying there. You may have already decided you want to enter the engineering program. Knowing this detail will allow the letter writer to include more relevant specifics about your interest and background in engineering. One of the best tips for this portion of your application, and this is really important, is to make sure you ask whomever you choose if they’d be willing to write you a positive letter of recommendation, and give them plenty of time. If you rush them, they might be annoyed and won’t have as much time to take their time and really make sure they’re writing a good letter. U.S. News & World Report recently gave tips on how to ask for letters of recommendation that could help you as you navigate this process. The letter of recommendation is an interesting part of your application because this is potentially the only picture they get of you that doesn’t come directly from you, so it can be really powerful. If an applicant can’t find somebody to write them a good letter of recommendation, that can say a lot about that applicant. Keep in mind that you probably won’t get to see the letter the person wrote so again, it’s really important to choose wisely and do everything you can to give that person ample opportunity to write a great letter. Once you ask, this pretty much becomes out of your control, so you need to make sure you set yourself up for success. Finally, once the whole process is complete and you've been accepted into a college, take some time to thank your letter writer. This can be done with a personal visit, a phone call, email or a thank you card in the mail. At the very least, this person did you a favor and it's worth your gratitude. But if you had a good relationship with that teacher, they will be excited to hear the news and proud that they were a part of the process. A lot of schools don’t require or offer interviews. However, if you are offered one, take it. Taking the interview shows initiative and that you really care about the school. If they ask you to come in for an interview and you decline, that says to them that you don’t really care, and is an easy way for them to move on to the next applicant. If you do have an interview, a lot of the advice is similar to advice for the essay portion of your application. This can be a really great time to let the admissions officers know who you really are. Especially if there is something about your past or your application that you feel you need to explain, the interview is the perfect time to do that. You obviously want to be the best version of yourself in your interview, but don’t be afraid to open up and be vulnerable as well. Visiting prospective colleges has become a ritual of sorts. While you can learn a lot about a school online or through word-of-mouth, there is no substitute to visiting the campus and seeing it for yourself. Especially if you are living away from home, feeling comfortable on campus is an important part of succeeding in college. Most students (and their families) have some idea of whether or not they want to attend college in- or out-of-state. If you're staying close to home, scoping out your school is much easier. You might even be familiar with it already and know some students and alumni. If you decide to leave the nest head off to a distant school, then you might want to visit first. It can be the difference between four happy years or a permanent trip back home next summer. Take advantage of the tour that every college and university offers visiting students. Soak up all the information you can about their academic programs and campus life. While you're there on the ground it will be easier to get a lay of the land, envision what your college life might be like, and figure out housing, transportation and general cost-of-living. Although high school students' senior years are exciting as they prepare for a new phase in life, it can also be a period of stress and apprehension. Many students feel rushed to make a decision about which college or university to attend. The application process can be very stressful, and it can be disheartening receiving rejection letters. However, applying and preparing for college does not have to be a period of unnecessary stress. Graduating from high school is a major achievement in one's life. Even though the party is often short-lived for graduates entering college immediately after high school, there is no need to be too overwhelmed by the college admission process. The following steps will ease some of the stress associated with applying for college. Are you interested attending a local college or university or one located in another state? Are you interested enrolling in a private or state subsidized university or college? Are you interested living in on-campus dorms or an apartment not located on campus? What major or subject do you intend to study? Are you comfortable studying at a college far away from your hometown? After answering the aforementioned questions, you will have a better idea of what you're seeking in a college or university, and you will have an easier time narrowing your list of schools after you conduct some research. Conduct preliminary research on the Internet. You can review individual schools' websites and any other website providing information about specific colleges and universities. 1. Do these schools offer your potential major? 2. What are the annual tuition and fees? 3. Are these schools recognized by reputable accreditation agencies? 4. Is the instructor to student ratio large or small? 5. Do these schools have student dorms? 6. What types of extra-curricular activities are available at these schools? 7. Is there a lot of crime on the campuses of these schools? 8. Are there meal plans available at these schools? After answering these questions, narrow your list down to 5 potential colleges or universities to attend. Now that there are just a few schools left on your list, review the application instructions, and, if possible, tour each school's campus. Most schools sponsor arranged tours for students who schedule them. In many cases, students tour schools they plan to attend only to change their minds after their campus visits. Students often get a good feel for whether or not they should attend a school after a campus tour. Carefully review application requirements before filling out college applications. Some schools may have minimum ACT/SAT score and GPA requirements. Before submitting an application, it's good to find out what admission committees will take into consideration before making their decision. For example, many committees will consider extra-curricular activity involvement and community service participation before making their admission decisions. After reviewing the admission requirements, you may further narrow the list of schools you have interest in attending. It's also very important to know when applications are due because many schools will not review applications after deadlines. After completing campus tours and submitting applications, stay in touch with admission committees as they make their decisions. After acceptance letters arrive, notify the school you wish to attend of your decision. Many schools require students living in dorms to pay a deposit by a certain date. Now you can focus on preparing for the academic rigors of college. As you enter college, make the most of your time. Attend class, be disciplined in your studies, and take advantage of academic and social activities held on campus. Six... or so. That's the short answer. Depending on your circumstances, you may want to adjust this number up or down, but not too far down! Once you break down your list of schools, six won't seem like a lot. A great number of students only apply to one or two schools, diminishing their chances of being accepted somewhere that is a good fit for them. Many students apply to far too many-twelve or more. This will probably spread your resources thin and reduce the quality of your applications. The most important thing is that you do your research and use that information to narrow down your list. If you've done this with each school, you'll begin to get an idea of what your top choices are and how many you really see yourself attending. Even if you know you want to be a Golden Gopher and attend the University of Minnesota, even if your parents and their parents went there, you should still build a list of prospective schools and vet them. You may surprise yourself and discover that you actually want to attend a small liberal arts college like Bard or Lewis & Clark. Begin your list with 15 to 20 schools and start looking into those. You should start to learn things about certain schools that you don't like. Your list will begin to get smaller and you'll increasingly have a better idea of what you're looking for in higher education. As you learn more about what's out there, you can break your list into three basic categories: reach, match and safety. Start by looking up the school's profile. This will either be published on it's website or through a third party. Using the profile, you can see average grades and test scores of the students that school admits. Compare these with your own and you will know if this school is a little out of your league (reach), right up your alley (match), or a piece of cake, nothing to worry about (safety). Be ambitious! Apply for a few schools that you think are a bit of a reach. Even if you're grades and/or test scores are a little low for them, something in your essays or letter of recommendation might resonate with admissions counselors in that particular school. Remember, selective schools are selective for a reason. Make sure the ones you're targeting are a good fit for you. This will also mean that you're a good fit for them. If you're applying to an elite school, including the Ivy League, keep in mind that those schools are reaches for almost everyone. Chances are, one of the match schools you apply to is likely to be where you wind up, so make sure you pick these schools carefully. Your #1 choice should probably be among this group. These are schools where your grades and test scores line up, more or less, with the average students they admit. But don't just pick a school because it is a match. You want to dig deeper and find out why this match school is the place you want to spend the next four (or five) years. This is where other factors come into play, including location, specific departments, campus life, tuition and financial aid. None of your safety schools will be your first choice, but you still want to make sure it's a place you really want to be. Your grades and test scores are above the school's average and you stand a good chance of being accepted, but does this school offer programs that interest you. Make sure your safety schools are still places where you will feel challenged and can grow. If your high school grades are not stellar, perhaps some of your safety schools are community colleges or other two-year schools. More and more students are completing their general course requirements at community college and transferring credits to a four-year institution. After two years of exploring general classes, you'll have a chance to improve your grades, and you'll probably have a good idea of what you want to major in. Finally, don't overdo it. You might think that applying to twenty schools will only increase your chances of being accepted to one. If this is what you're thinking, then you probably haven't considered how much time and money college applications can take up. Each single application will cost between $40 and $60. Some elite schools even charge $90. All those fees add up quickly. Additionally, it's only feasible to visit a few schools if you're looking out-of-state. If you can afford to make campus visits, you'll want to do your research and choose those trips wisely. There's no way around it, you have to spend quality time on each application. Even if the school uses the Common Application, you will have to tailor your essays and get letters of recommendation for each school. Investing time into each application and making sure they are done right is a much more sound approach. There are so many colleges and universities out there, it can be overwhelming to think you're going to narrow it down to a handful and then pick just one. But if you do your research and really get specific, you'll find that the range of good choices quickly shrinks to a manageable number. Then you stand a much better chance of finding the school that's just right for you. The college application process is full of potential roadblocks and landmines. Every application has multiple sections, various deadlines and a host of specific requirements that need careful attention. On top of that, most students aren't just filling out one application for one school, but several different ones. It is important that all the steps are completed in a timely and professional manner. Here are some of the most common areas where applicants make mistakes. Meeting deadlines is the most important part of the application process. You could work on your application for months, perfecting your essays and getting great letters of recommendation. It might be the best application they have ever seen, but if it is submitted late it probably won't even get looked at. No matter what, make sure you meet all the necessary deadlines. Remember, you application won't have just one deadline. There are a number of moving parts in the process and it is important that students keep track of this, especially if you are applying to multiple schools. In addition to the overall application deadline, some important dates to look out for include Early Action or Early Decision deadlines (more on those below), scholarship deadlines and financial aid, which can include state, federal and aid directly from the institution you're attending. In some cases, college admissions will still accept applications after the deadline if they haven't filled all the spots for the incoming class. Even so, you will still most likely be missing the deadlines for financial aid, scholarships, students housing and others. While almost everyone will tell you that applying early is critical, there are still some pitfalls that many students are unaware of. In some cases, it will be obvious that a student needed to spend a little more time polishing up his or her application. The advantage you get from applying early will be lost if it isn't looking as good as it can. Some students unknowingly limit their choices by applying early. This is especially the case at schools with Early Decision policies. Early Decision means that you are only allowed to apply to that one school. Applications are usually due sometime in November and a response will come before the end of the year. To be sure, Early Decision applications are at the top of the stack, but if you're not absolutely certain that this school is your first choice, you shouldn't seek and Early Decision. 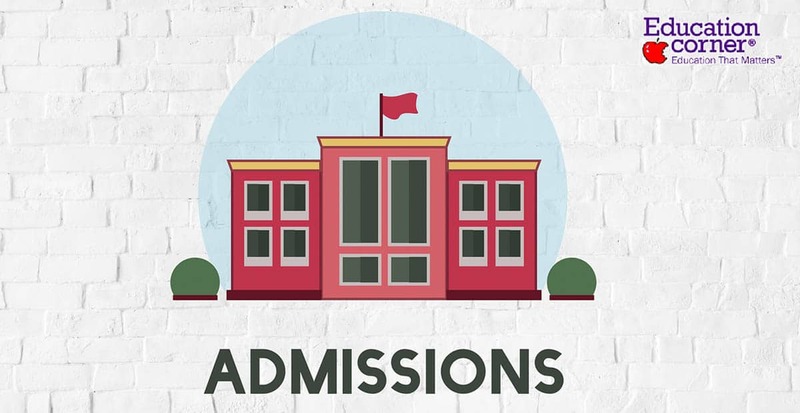 Many admissions departments will share their list of Early Decision applicants with other schools to ensure that students aren't applying to multiple schools. A fewer number of schools have an Early Action admissions policy. This is similar to Early Decision, but allows the student to apply to multiple schools at once. This policy is more rare and it offers the student a number of advantages. You could apply to multiple Early Action schools, receive acceptance letters in December, and still wait until the spring to make a final decision. But as always, there are other deadlines (scholarship, financial aid) that you may be missing in the meantime. As with every part of the process, it is important that you completely understand how each school's admissions policy works. Even Early Decision and Early Action policies vary from school to school. Many students often forget that throughout this complicated process, they have an experienced advocate in their corner: the high school guidance counselor. Your counselor is there to help guide you down the path. They have been there before and can steer you clear from some of those roadblocks and landmines, often before you even know it. One of the most common mistakes that students make is not keeping the lines of communication open with their counselors. Your counselor can offer you perspective that you won't get anywhere else. If you're trying to figure out which schools to apply to, your counselor is one of the best people to bounce ideas off of. They will often know some valuable details about particular schools, or at the very least they can point you to the right information and resources. Once you've chosen schools and begun the application process, your counselor is the best person (other than yourself) to help keep you on-schedule and ahead of the deadlines. He or she will make sure your high school transcripts are sent to the colleges, help you arrange letters of recommendation and even assist you with some difficult sections of the application. This is basic common sense, but it is also the downfall of many an application. It is absolutely critical that you proofread every part of your application and make sure everything is in order. Once you've done that, have someone else read it. A new set of eyes will catch mistakes that you didn't. Many schools accept the Common Application, which makes the whole process easier for students. But this leads to a common and embarrassing error: listing the wrong school. If you're writing one essay and plugging it into different applications for different schools, you'll want to make sure that you're changing the name of the school each time. Admissions counselors are thoroughly unimpressed when they read the wrong school name somewhere in your application. It sends a signal that this school isn't your top priority, or just that you rushed the process and aren't a detail-oriented student. A bad sign either way. Your parents are always going to be a valuable resource for you, and it is important that they are involved in the college application process. But it is very common for parents to be too involved or dominate the process entirely. The student should be the one steering the ship and doing most of the legwork. If a parent's fingerprints are all over an application, admissions counselors will see it. Even before the application is submitted, parents can often smother the process. When investigating schools and making contacts, the student should take the lead, with parents' help happening behind the scenes. If you let your parents take control of the process early on, that influence will often last through the process. This, in and of itself, is a negative. Admissions counselors are looking for signs of self-sufficiency on the student's part. Your parents aren't going to be there to dot the i's and cross the t's when you get to college, and your college experience really begins with the application process. Remember, it's your name on the application and your life that will be affected most. The best person to look out for you is you. Preparing for college is usually a thrilling time in a young adult's life. However, many young adults find preparing for and entering college to be a major life change that can be very stressful. College preparation usually begins when students taking the ACT or SAT and continues until they start receiving acceptance and denial letters beginning in April of their senior years – but it should being much sooner. The information and resources provided below can be very beneficial during the college admissions and preparation stage and help you get an early start on the college admissions process. According to a former Yale University Assistant Director of Admissions, everything you do when you or your parents interact with the school matters. Much like a job interview, if you treat the secretary poorly, things aren’t likely to go well for you. When there is so much competition, every little thing matters. Schools often track your interactions with them and may use that to help make their decision. It never hurts to be kind and appreciative of everyone you come in contact with. While a bad note might be placed on your application, you could just as easily get a good one. The late Professor Randy Pausch of Carnegie Mellon University tells a story in his book “The Last Lecture” about how he admitted a student into his program because she took the time to write a thank you letter. The letter was written to someone that had helped with her trip to visit the school; a person who had no bearing on whether she would get in or not. However, somebody placed this thank you note in her file. When the admissions committee was reviewing her file, they were ready to deny her admission. When Randy saw the letter though, he fought for her and she was admitted. You never know when that extra little bit of kindness could be the thing that pushes you over the edge. The bottom line is it’s not just one thing or one aspect of you that admissions officers are looking for- it’s the picture they can get of you as a whole person/student. In every portion of your application, be who you are, not who you think they want you to be. Admissions officers are also looking for people who would fit in well at their school, so if you try to be somebody you’re not, you might find yourself at a school that is a terrible fit for you. While these general tips are extremely helpful in understanding what to focus on when completing your applications, each admissions officer and each school is different. If you do some digging, you might be able to uncover the secrets behind what your top school is looking for. Two admissions officers from Cornell, for example, recently revealed what they’re looking for in applicants. If you’re looking for a little more advice, Alex Chang, college application expert, recently gave a TEDx talk about the secrets behind college applications. He talks about why a lot of students with perfect SAT scores and GPAs get rejected from Harvard. His final conclusion comes down to the same thing we’ve seen here with all these tips: you need to be yourself. If you try too hard, the admissions officers will see through the fake wall you’ve built up of the person you’re pretending to be. Put your best foot forward, but make sure it’s your foot, not somebody else’s.